(Rome) According to the Daily Bulletin of the Vatican Press Office, Cardinal Raymond Burke has been received today in private audience by Pope Francis in Santa Marta guesthouse. 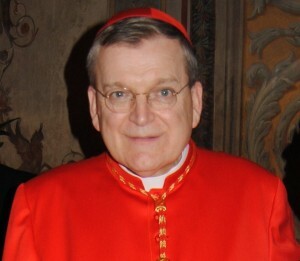 The American Burke was Cardinal Prefect Head of a dicastery of the Roman Curia until 2014. After the Synod of Bishops in 2014, where he became the spokesman for the defense of the marriage sacrament, the pope dissmissed him for his a as prefect of the Supreme Tribunal of the Apostolic Signatura and removed him from the Roman Curia. The Pope pushed him off to the post of cardinal protector of the Sovereign Order of Malta, which, however prestigious, does not affect the management of the universal Church. Just recently, the excellent canon lawyer defended against the accusation he was opposed to Pope Francis in an interview from Infovaticana. It's an allegation which was especially widespread clamoring of Kasperians. Now there was a private audience, although recently there were rumors that the Pope had no interest in such a meeting. Was it a routine reception? Or did both sides try mutually to explore positions with regard to the forthcoming final part of the Synod of Bishops? As Cardinal Prefect Burke 2014 was automatically included in the Synod Synod of Bishops. By his dismissal he could only take part in the Synod of Bishops in 2015 if Pope Francis personally appoints him to the Synod. But that seems pretty unlikely. The content of the discussions at the meeting today has been unknown. I'm assuming the Pope read him the riot act and told him if he doesn't get his head on straight, he'll die an excommunicate like his hero Lefebvre. Maybe he will replace Nienstedt! anon 3:08: I think you are the one who should get your head on straight. It could be that Burke has been asked to be official Vatican greeter of asylum seekers at Lampedusa. It's not all that far from either Malta or his domicile in Rome or wherever he resides these days. Is it too obvious to suppose the Pope is making sure Cardinal Burke is going to toe the company line during the big rollout? Or would that go without saying? "By his dismissal he could only take part in the Synod of Bishops in 2015 if Pope Francis personally appoints him to the Synod." Are any other authors of Remaining in the Truth of Christ attending the 2015 Synod (namely, Brandmüller, Caffarra, De Paolis, or Müller)? I assume at least Müller will. Archbishop and one said Saint LeFebvre was a hero thank you for pointing that out. I personally went to visit his tomb and had the honor of being there alone with him to thank him in person for what he did. A Hero and a saint and a dry martyr. I hope he appoints Oprah, but she might be an improvement. St. Marcel Lefebvre? I'm sure he's interceding for Cardinal Burke right now. JPII was a radical liberal revolutionary (see: ecumenism, altar girls, voodoo Masses, Koran kissing, et. al.) and looks like an arch-conservative in comparison to Francis. Atheists like Bill Mahr and Catholic priests like Fr. Clovis doubt whether or not the pope is even Catholic! Every non-religious person I know loves Francis yet every devout Catholic (NO and Trad alike) despise the man. I hope and have long prayed, that the Cardinal will read the Pope the riot act, and call him to repentance for his many errors and heresies, and warn him sternly in the Lord that if he persists in such, he has deposed himself, because you cannot be both a Catholic and a professor of ideas which are contradictory of the teaching of Christ and His Church! 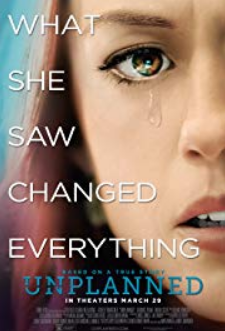 Is Sarah related to Oprah? ?